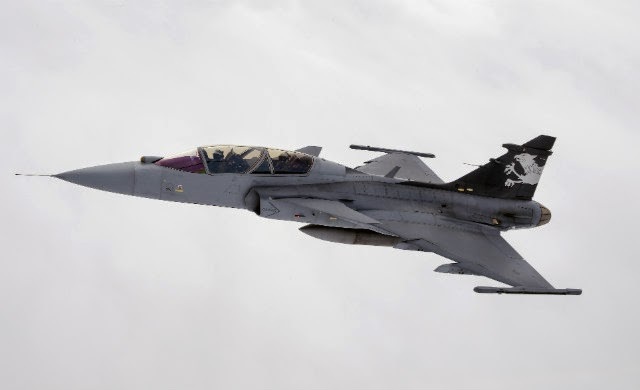 Saab has successfully test flown a key passive detection capability for its in-development Gripen E fighter, using dedicated test aircraft 39-7. Developed by Selex ES’s Airborne & Space Systems division, the Skyward-G infrared search and track (IRST) sensor will give the combat aircraft a long-range means of detecting and identifying potential airborne threats, without the need to first switch on its active electronically scanned array radar. Secondary applications include the ability to act as a navigation and landing aid during darkness. Skyward-G comprises a sensor head unit installed in front of the fighter’s cockpit, and an associated processor unit box, which is stowed in the nose avionics bay. The entire system weighs less than 40kg (88lb), says Selex. 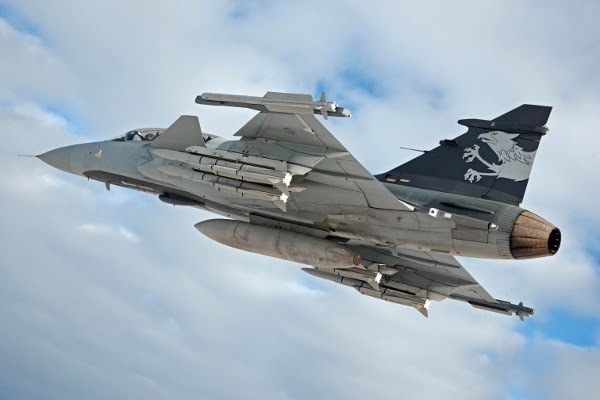 “The [IRST] integration and development work is progressing according to schedule,” says Saab. The company is producing three dedicated E-model test aircraft, with its current 39-7 asset being a modified D-model Gripen. The new-generation version should enter use in 2018, with operators expected to include Sweden, plus export customers Brazil and Switzerland; both have yet to finalise planned orders.